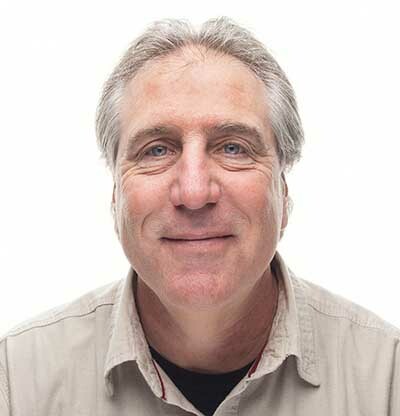 Jim Lively is program director at the Traverse City-based Groundwork Center for Resilient Communities. Gov. Rick Snyder once again is sidestepping leadership on an important water issue. First, it was his handling of the Flint drinking water crisis. Then, the Nestle groundwater giveaway. Now, he’s signed an agreement with Enbridge Energy over Line 5 that keeps the Canadian oil pipeline in the Straits of Mackinac for decades to come, rather than moving toward the solution that unquestionably will protect our fresh water: Terminating Enbridge’s easement and decommissioning the 64-year-old pipeline. Snyder announced the agreement days after expressing frustration about Enbridge’s lack of transparency following another disclosure that the Canadian company had withheld information about missing protective coating on the pipeline. But rather than consult his appointed Pipeline Safety Advisory Board, which has spent two years studying the issue and was weeks away from completing a study of alternatives, Snyder chose to cut a private deal with Enbridge. The agreement leans strongly toward preserving the company’s interests and ignores the concerns of Michigan residents and business owners. MORE COVERAGE: What now after Michigan, Enbridge agree to deal on Line 5? While the agreement minimally addresses some safety concerns, it does little to prevent an oil spill calamity in the Great Lakes. And it ignores an obvious question posed by many business leaders: Why does Michigan shoulder all the risk from this pipeline while a Canadian company benefits? Despite Enbridge’s marketing campaign touting the benefits of Line 5 for Michigan, only 5-10 percent of the oil pumped through Line 5 stays in Michigan. Line 5 is simply a shortcut for western Canadian oil to move through the Great Lakes and into eastern Canada. Michigan and the Midwest would continue to have access to sufficient amounts of oil from other pipelines to meet demand if Line 5 were decommissioned. Line 5 is part of Enbridge’s “Eastern Canadian Refinery Access Initiative” plan to move Tar Sands oil from Alberta, Canada, through Michigan and onto East Coast Canadian refineries. Today, Enbridge is transporting 380,000 barrels per day more oil through Michigan in its two major pipelines than it did in 2010, the year of its massive oil spill into the Kalamazoo River. Nearly all of that excess oil is being refined in Canada. Line 5 helps Enbridge pad the profits of the Canadian oil industry, while Michigan stomachs all the risk to our Great Lakes. There is an important but small amount of propane carried by Line 5 to Upper Peninsula residents that could simply be transported by other means. While Enbridge has worked hard to mask the true story about Line 5’s benefits to Michigan, the company has failed to cover up the risks of a leak. Despite repeated claims that it learned a lesson from the disastrous Kalamazoo River spill, Enbridge continues to show a blatant disregard for transparency and basic pipeline maintenance. For example, required anchor supports that should be keeping the pipeline from swaying in the strong currents of the straits have repeatedly been found to be placed at inadequate spacing intervals. And we recently learned that Enbridge’s installation of the supports has compromised the protective coating on the pipeline in at least 48 locations. Serious questions remain about the ability of Enbridge or the Coast Guard to clean up an oil spill. One estimate suggests only 30 percent oil recovery would be considered a success. While the state has been slow to act on Line 5, public concern about the risk of an oil spill has exploded in the past couple years. In addition to the thousands of citizens who have offered comments in opposition to the pipeline, all of the state’s tribal governments have passed resolutions calling for action to decommission the pipeline, as well as more than 70 local governments. In the past year, more than 70 CEOs have joined a Great Lakes Business Network calling on state leaders to decommission Line 5. It is alarming and disheartening that Snyder would privately negotiate an agreement that promotes a compromise that would allow Enbridge to blast a massive tunnel through ancient, porous limestone under the Straits of Mackinac. Michigan citizens want strong leadership from our state officials when it comes to protecting our Great Lakes. As candidates for governor and attorney general begin to develop their platforms for next year’s elections, they should listen to Michiganders’ clear mandate to decommission the Line 5 oil pipeline. Why doesn't Michigan close Embridge's pipeline as the author suggests? Maybe it's because we're not a third world kleptocracy where where the state marches in and just takes what you built for any of a thousand reasons they whip up? Since the author and other minions waving their pitch forks can't think up other solutions, I'll toss one out. How about if the state of Michigan negotiate to buy the pipeline? I'm sure (not) that the citizens, the author references would be more than happy to add another dime to their gas tax to finance this purchase! Or short of that pass the hat, Buffet, Steyer, Sierra Club and Soros wouldn't have any problem putting their money where their mouths are would they? Do you really want the state to have this power? I'm sure Don Trump or the next one would be happy to take it. You miss the crux of the message. Water is a paramount need which we must protect, rather than preserving a Canadian company's profit. Michigan's economy relies on tourism, and the people depend on Lakes Michigan and Huron for drinking water. I choose to live "up north" and like most others value the place we live. The State of Michigan has the responsibility to preserve the fresh water in the Great Lakes. Perhaps in 1953 we didn't understand what the world would look like in the future and didn't understand the currents in the Straits, but we do now. Line 5 is a clear and present danger, and needs to be decommissioned before it does leak. SHUT DOWN LINE 5 NOW. Enbridge has placed their private, Canadian pipeline on Michigan's Great Lakes bottomlands only because they negotiated an easement allowing them to do that in 1953. No one is proposing to take their property; we are pointing out that Michigan's responsibility to protect the Great Lakes should always take precedent over private gain. The state must never relinquish our authority to protect the Great Lakes for all citizens. The risk of this aging, foreign-owned pipeline has become significantly greater than the benefit to Michigan, as nearly 90% of the oil is not being used in Michigan but is being sent through our waters to refineries in eastern Canada. I am not opposing all oil pipelines, but think this one is particularly risky. The state does have the power to not renew that lease. All the violations Enbridge has engaged in as well as the attempts to cover up the inadequacies of the pipeline are reason enough. If that pipeline breaks, this state is screwed. We make most of our money on tourism. No great lakes, no tourism. Snyder is working out a new deal when he should just get the pipeline out. It's inexcusable. This investment was made per the agreement of the state, no concrete or imminent risk has been shown to exist, just theoretical . If the state wants to destroy this investment they should negotiate a buy out of the pipeline just like they do for any property owner in any eminent domain case. One must suspect the resistance to this approach is that when it comes to paying for this, the public supports will fade to crickets in the dark . The original agreement was it was to be replaced in 50 years and now it's 64 years. More than Michigan would suffer if it leaks - Minnesota, Wisconsin, Illinois, Ohio, and lots of Canada. So you would be agreeable to them replacing this pipeline with something new? ble NO...it needs to be shut down permanently!!!! We need to start using cleaner forms of energy like wind and solar.......have those in abundance....yet the dollars want to burn more oil and coal......pollute more water and air for the big bucks!!! To the detriment of our children's and grandchildren's future!!! I'm not sure that's what we should do!! So show me where it's more feasible and not so dirty to use oil.....you can't....which makes your statement moot!!! The state has eminent domain--but exercising it would require that the state compensate Embridge, and that wouldn't be cheap. Companies like Embridge depend upon shifting as much of their costs as they can onto the public. The risk Line 5 imposes on the people of Michigan is only one such example. Another approach would be to shift the financial risk from Michigan and its people back to the folks who enjoy the profits. Michigan could require that Embridge post a bond--at least half of which would have to be in cash with the rest covered by an insurance policy--to cover the cost of a thorough clean-up of any spill. My guess is that if Embridge had to shoulder the financial risk it would find that perhaps Line 5 isn't profitable any more. Has anyone looked at what would become of the oil that is now transported via Line 5 to Sarnia if Line 5 was decommissioned? If it would still be transported to Sarnia by ship/rail/truck and instead of by Line 5 what risks would that transport by ship/rail/truck create to people and the environment? We sure have. Enbridge has other existing pipeline's that they would use to transport this oil. And they would likely not be able to move as much oil to eastern Canadian refineries as they have begun doing since their major expansions. The implication that Michigan, or even the midwest, needs this oil is false. Line 5 allows Enbridge to transport surplus oil through the Great Lakes as a short cut to other markets. If the Line 5 easement were revoked, Enbridge would likely increase the flow in other pipelines - which they've done many times over the past several years - or the eastern Canadian refineries would purchase oil from other countries. No one would run out of oil, or truck it from Alberta to Montreal. The reason that Governor Snyder and Attorney General Schuette do not close Line 5 is that both of them support due process. There is no clear evidence, only ginned-up hysteria over hypotheticals, that Line 5 poses a clear danger to the Great Lakes. Immediate seizure of the pipeline and decommissioning would leave substantial amounts of oil residue, with no requirement in current law that Embridge Energy continue to inspect or maintain the defunct pipeline. While there is close to zero immediate risk, that scenario is likely to lead to faster deterioration of the pipeline and an eventual oil spill. Anna says: "there is no clear evidence, only ginned-up hysteria over hypotheticals, that Line 5 poses a clear danger to the Great Lakes." One doesn't need "clear evidence" that the pipeline poses a threat to the Great Lakes--common sense tells you that. Listen, there is NO such thing as a "safe" pipeline. They can rupture at any moment. Look at the one that devastated the waters in Kalamazoo. It was about 10 years newer than Line 5 and burst unexpectedly. So, the idea of allowing a 63-year-old pipeline to continue to pump 23-million gallons of crude oil each day through the Great Lakes -- Michigan's #1 natural asset -- is not only short-sighted, in my opinion, but foolish. The risks FAR outweigh the benefits. We can always get more oil, but we cannot replace the Great Lakes! There's no such thing as absolute safety in anything. Further there are hundreds of human activities that adversely effect the great lakes in a significant ways every single day. Yet the activists ignore them because of the diffused nature, the widespread costs and public resistance involved in their remedies. This issue is about politics the opponents hate the petroleum industry and have the public convinced that this can be stuck on one entity. Interestingly The Chicago canal threatens more concretely to unleash a horde of evasive carp species into the Great Lakes that have destroyed the Mississippi ecosystem, that we'll never get rid of and yet all these faux environmentalists say nothing about shutting that down. Why is this? Are the trolls out? I suspect that a lot of the folks commenting on this article are being paid by Embridge, the Mackinaw Center, or perhaps the chamber of commerce. It is time for folks to state any conflicts of interest. For my part, I'm just a private person, not even part of any environmental group. I'm certainly not paid by anyone to comment. Interesting how only response is to disparage commenters. I don't work for MC or Embridge or any lobbying firm, not that this matters. Don't own stock, not aware if Embridge is even public? I just don't believe that whipped up mobs are a reason to confiscate private property as they do in third world nations. Fine - then ask Enbridge to secure an insurance policy to cover the costs if the pipeline leaks. Since it so safe and there's so little risk it shouldn't be hard to find an insurer. Why this won't happen: Enbridge has a track record of disasters where the tax payers end up with a huge bill. No insurance company will touch them and Enbridge doesn't want to spend any money on insurance when they know they can get our Governor and AG to get the tax payers to pay if there's a disaster. Anna - No credible groups are suggesting immediate seizure in a haphazard manner. But there is plenty of clear evidence of significant risk, from missing coating, missing support anchors, and Enbridge's track record of past spills (nearly a million gallons into the Kalamzoo River in 2010) and not telling the truth about Line 5's condition. There have already been more than two years of state "study" of this issue, and in that time they have uncovered many of these concerns. It is time for the state to take action in a safe, responsible manner. What do you mean there's no danger? Enbridge has been covering up inadequacies in the pipeline and misrepresenting the safety of the pipeline. Canada needs to find their own way to move the oil in their own country, and not through our state. The potential environmental catastrophe is to great to allow a pipeline past it’s designed life. All material eventually fails as will Line 5 with catastrophic results of all of the Great Lakes. To allow it to operate is criminal. You know you 3 would prob get paid more then the 8 bucks an hour that Enbridge is paying you by flipping burgers! This is a perfect example of where political dialogue has degraded to. Zero content, rebuttal or relevancy just brainless accusation. Below average for Bridge, but this issue seems to run that way. Cuz there is no reasonable excuse for someone to promote the pipeline if they are not an Enbridge employee. It is against our common interest. The only reason I have heard to oppose a pipeline, this Enbridge pipeline. The reality is that technically the pipeline can be manage with acceptable risk. There are well established protocols the make risk analysis in conjunction with risk management a viable means for protecting the environment, the public or other concerns. The reality is that we have been living with much great risks to human live than the pipeline for longer than any of us have been alive. The most obvious example, is our safe drinking water [mis-operations such in Flint overwhelm any good science and technology]. MiOSHA has a 20 year old regulation that work effectively in ensuring the safe operation of the pipeline if people were only willing to lift their heads up and look around. There is a good reason for promoting good science/safe practices, because that is how we improve our quality of life. When we stop thinking and only listen to emotion is when unintended consequences controls what happens. It is easier and less expensive to make deals like this and the ones Trump makes to remove protections of our environmental treasures than it is to find real long term solutions and alternatives. When packaged with a few buzz words like "jobs" and "higher wages" and "lower costs" these sorts of decisions gain public support. It is selfish and short-sited, but it allows us to ignore the future consequences and enjoy the immediate benefits. We will also be paying for Enbridge's choice. The cost of the tunnels will be Michigan residents burden. We have been paying for ETP and Enbridge long enough. Do not believe me? Go look at your utility bills. Notice the amount used and what you are being billed are so different. You can thank the DTE/Consumers Power Public Hearings for this. We are paying for all the Canadian Corporations pipelines and Fermi also. http://efile.mpsc.state.mi.us/efile/cases2.php?type=all We will be paying for Rover and Nexus pipelines also. We have no say in any of this. If we go to the deconstruction sites, we are not allowed. Why not? We are paying for it. We should be allowed to check that violations are not happening. Since these Canadian Corps also have to self report, ha ha what a joke. self report. Good article, Jim. Thank you. why does michigan need to find a way to get 23 million gallons of alberta crude to sarnia for the canadian market and export ? why does michigan have to bear this risk with such little benefit to michigan itself? why did british columbia refuse to let a 300 mile pipeline be built from the oil fields to the Pacific? Line 5 had leaked over a million gallons of crude since its installation in 1953. Yes, the state should have the power to regulate infrastructure and terminate agreements when there is clear and present danger from neglect, as well as lack of transparency and dishonesty from the involved corporations. And I am always willing to pay more for fossil fuels, if they are not subsidized and are reasonably taxed. For a reporter you did very little research of any merit for this piece or neglected to include it. Why didn't you mention that enbridge is repeatedly blocked from installing above mentioned anchors do to their permits not being issued. Did you know that the wall thickness of this pipeline is over twice as thick as modern pipelines in the Gulf of Mexico? That line 5 has induced cathodic protection instead of sacrificial cathodic protection. Meaning that this pipeline doesn't rust even in areas where the protective coating is missing. Part of the new agreement is to look into a tunnel. A tunnel would completely isolate the pipeline from the lakes. Even in the event of a leak. Similar tunnels have been dug before all over the world. The process is much less complicated then some make it sound. Even soil composition isn't a huge concern given modern technology of TBM's. I am not at all saying an oil pipeline under a huge percentage of the world's freshwater was a good idea. However your biased article is not helpful or informative, it is propaganda. Hi -- Just to be clear, this is a guest opinion column, not a reported piece for Bridge. Bridge welcomes submissions from all viewpoints and would gladly publish a counterpoint. Bridge should publish a counterpoint to all commentaries as a matter of course to help round out the discussion. What kind of "research" is needed, when common sense tells you that pumping crude oil through the Great Lakes -- your state's greatest natural asset -- is a dumb idea?! Common sense would say they propelling yourself 55mph on air filled balloons is a dumb idea. However do to an amazing thing called engineering we accomplish this safely daily when you drive your car to work. Yes anything can break but also solutions can be found that don't cost jobs while still keeping the lakes safe. Research should always be don't to establish an educated opinion. Biased, knee jerk, emotional opinions only push falsehoods and hysteria. Lets not get crazy here. Yes the state does have the authority to close line five. I think this would be a poor and chaotic choice. but I have no sympathy for the delay, defer and deny tactics of Embridge. The state also has the duty to protect its citizens health and welfare. Instead of this wimpy deal the Governor negotiated, Perhaps he should consult with the ex Michigan Senator and ex Michigan Governor who were on the Board of Directors of Embridge as to how he should proceed in pressing for a tunnel below the straits. or have them route the Canadian tar sands through Canada. Whatever he does he needs to move on this and quit pretending he has solved anything. Does anyone know how to clean up an oil spill under 3 feet of ice in February ? Nope - shut it down! I think your question is credible. Sure, have you ever watched that show about gold mining in the Bering Sea in the winter?Based on the nature of the oil, at lower temperatures it coalesces and tends to hold together [more so in fresh water, the old oil and water mixing or not] so it become possible to vacuum it in for later separations and recovery. This approach has been applied to spills in the Great Lakes . A simple online search turned up the use of vacuuming to clean up a spill in the Great Lakes, by all indications it worked effectively over 30 years ago and other times since then on oil spills at other times of the year. I wonder how many of those that want to shutdown the pipeline in the name of protecting the environment are concerned enough about protecting the environment to look for ways to protect it if they don't get their way? Do any ? Have any? Online searches are quick and easy and can tell us a lot about what is already known in addressing concerns, but it does take a moment to think of what question to ask. This oil does not float. It sinks. It is the hardest to clean up. Duane, these particularly environmental discussions seem to degrade into uselessness because they are in fact religious (a post modernist version) , good verses evil (petroleum industry) they are not subject to reason, evidence, process, negotiation or compromise. Doesn't matter how or what the pipeline is made, effectiveness of safety systems, all totally irrelevant. (Personally I don't care whether the pipeline stays or goes, but I do care about due process and fear raw political power.) But no, it is evil and must be eliminated, nothing else maters! I agree, it is this crushing of the rule of law and scientific thinking with the 'I want' syndrome that not only prevents developing effective ways to address problems/issues, it also discourage people working together for better results. Real risk is how Bridge has allowed that 'I want' syndrome to affect the articles and writers. Early on Bridge seemed to encourage diversity of perspective and improving results. They seem to be filling their pages with the how to do things rather then diversity of ideas to get things done. This article is an example of this trend. I attended the first of 3 public comment sessions on the list of alternatives suggested for the future of Line 5 on 6 December inTaylor. The same Ms.Brader who was extolling the virtues of Snyder's bum deal with Enbridge in the press the day before- smells like a conflict of interest or maybe further evidence that the public is being appeased by having a so called Advisory Board and multiple public comment sessions whose pleadings are to shut it down 99% of the time. Built in a place it never should have been built in the Straits of Mackinac. 64 years old and showing it’s age. L5 is not your typical pipeline. It poses environment damage to water, health, fish & wildlife, tourism, and much more I’m sure. It is an atypical pipeline that should be properly closed down as soon as humanly possible. It is now a moral leadership issue. This “no action” status is a failure to protect the State and it’s citizens...it’s criminal. I would be interested in knowing how much Snyder and Schuette have received in "donations" from Enbridge through the years. One thing I do know is that in a recent NYT article, Shuette was listed among the top 10 Attorney's General in receiving campaign money from oil companies. Damn white liberals thinking they know to the answer to everything. Too bad line 5 will not be shut down ever. This is the motor city state. You can't run from that. Meanwhile white liberals are puffing on drugs and guzzling alcohol. Yea... water is life. Why aren't you drinking it? Two points: shutting the pipeline down during bad weather does not include emptying it. It is sitting down there full of oil, a smaller spill surely than if it were operational, but still enough for catastrophe. And repair and replace means, in every single example I can find online, increasing the size of the pipeline. So fixing it means making an eventual spill much, much worse. Is this decision only up to Snyder to make? Doesn’t anyone else (Senators, Representatives, citizens, environmental groups etc) have a say in this?? I'll never forgive the Michiganders who voted this criminal (Snyder) in, not just once but twice! Why is he not in prison?